At Swell Insurance Solutions, we truly value each and every relationship we have with our clients and customers. 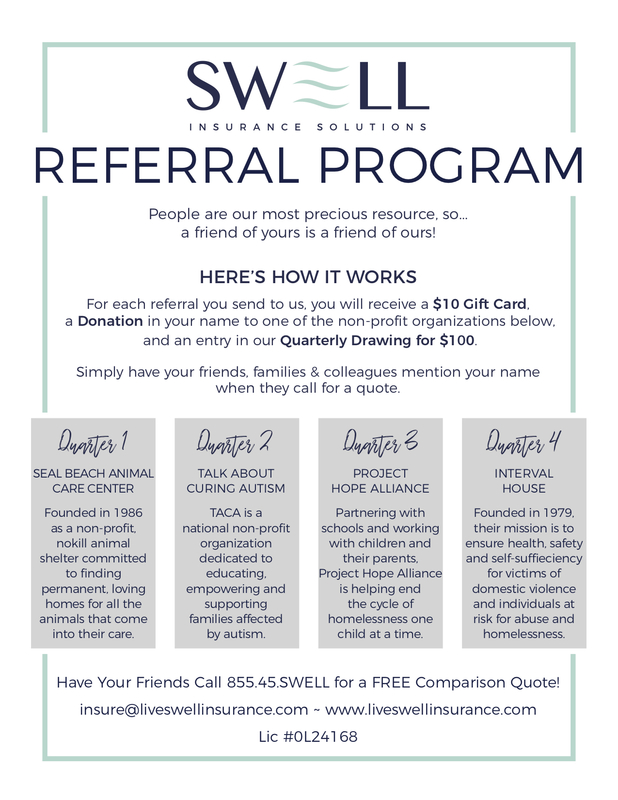 For that reason, we’ve established a referral program that rewards our clients when they spread the good word for us to their friends and family. Even if you only tell one other person about the experience you’ve had with our agency, we would be extremely appreciative of that. Below are the details of our referral program.